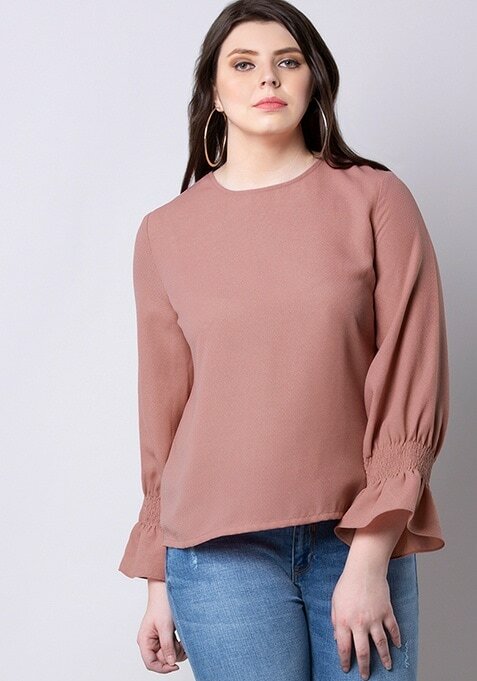 This pink top is a staple in every wardrobe and we are loving this style. Featuring smocking full sleeves and a round neck. Work It: Style this top smart heels and retro sunglasses.